Barack Obama, Nancy Pelosi and Chuck Schumer know the Democrat Party would be finished if the American people knew the real reason why they support the migrant caravan. But the truth is getting out. 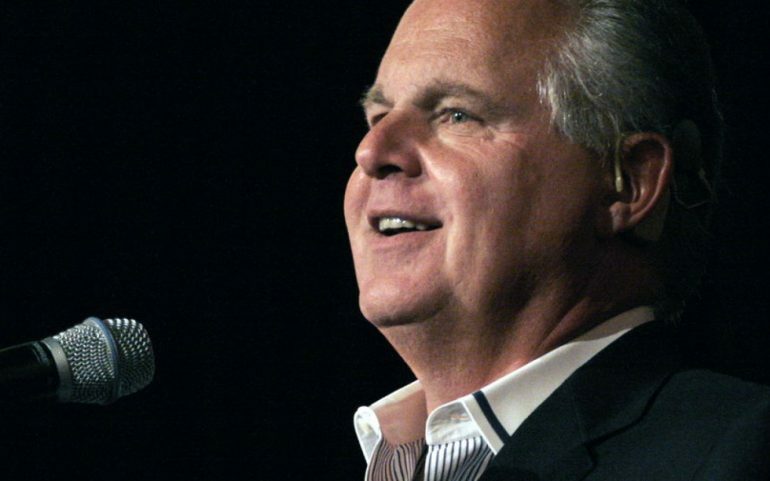 And Rush Limbaugh just revealed the Democrats awful secret about the migrant caravan. Democrats and the fake news media knew the caravan would damage the left politically. So they do what they always do when they’re backed up against the wall. The ad – which informed the American people that the Democrats want to let dangerous criminals into the country by supporting open borders and the caravan – was banned by social media and news outlets. The media’s desperation to claim any opposition to illegal immigration hid the real truth of what they support. And on a recent broadcast, Rush Limbaugh described what the Democrats and the media don’t want you to know about the caravan. Limbaugh shot down the lies spread by CNN and other fake news media outlets that Trump supporters oppose the caravan because they are racist. Limbaugh then went on to explain why the left is willing to sit back and let the caravan invade America. He explained that the left hates America and doesn’t think she is worth preserving. “We have laws on immigration for a reason. We want to maintain America as America, and people who are permitted to enter legally have to be determined as people who want to become Americans. There’s nothing that is wrong with that. There’s nothing discriminatory about that. What are we supposed to do? What’s the alternative? Just stand aside? The Obamas and the Democrats of the world would have us believe that (paraphrased) “the only way that we can show that we’re not a bunch of judgmental racists and unkind people is to stand aside and let them in.